Hello hello, I hope you're all doing well. 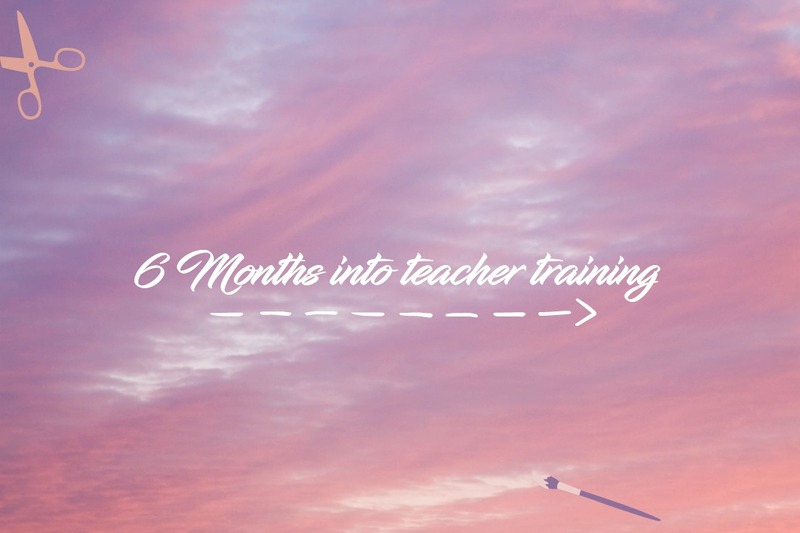 Since it's been a whole 6 months since I began my teacher training journey, I thought it was appropriate to write a little update post for you all. Although I rarely get comments under these posts, the amount of feedback I get from you guys on social media makes me so happy! I'm glad these can be helpful in someway, especially if you are considering teacher training yourself. I have now also added a link in my sidebar, which has all my TT related posts if you're curious. OH! And, some exciting news, I am going to be featured on the UCAS teacher training blog!! It's safe to say I'm just a LIL bit chuffed about this 😝. Anyway, I cannot believe that I am just short four months away from obtaining my PGCE. In some ways this course has been a bit of a blur, but the hard work that has been required has pushed me beyond belief. You never appreciate the amount of sleep and flexible hours you get whilst being a Uni student, until you become a trainee teacher. Or enlist on any kind of route which involves working a full time job AND studying too. So many times I've had to get by on 3-5 hours of sleep and it is absolutely exhausting! Somehow though the time spent teaching kinda makes up for it, and although I have mini break downs every 3 weeks or so, I'm still going haha. I think eventually I will get the balance right, and I'll figure out how to get 7 hours of sleep on a regular basis, but till then I'll be snacking and sipping caffeine every few hours! I will NEVER truly be done with my to-do list. If there isn't lesson planning/evaluations to be working on, then theres marking to catch up on, there are also resources to prepare and pupil progress to look over, OH and lets not forget all the objectives set by the teacher training school to meet on time. Plus since it is a PGCE year, there are also two heavy assignments (although admittedly these are quite a minor part of the course in the grand scheme of things). I'm also attempting to maintain my friendships lol, as well as my blog. You do have to accept that this will be the case, perhaps for the whole career (this remains to be seen obviously!) but at least for the TT and NQT year. Working with children always requires a good balance of caring, humour, patience and fairness. However the behaviour management side of things is tough, especially when you're a trainee in year 6! It has been a steep learning curve thats for sure, but since completing my cross phase in year 1 I have approached it differently now. There is definitely a fine line between being too soft and being overly strict and I am still trying to find that balance. 1. What YOU think teachers do, only scratches the surface! After working in two different schools, in two different key stages and in two totally opposite year groups (I went from year 6 to year 1! ), I have experienced a lot in a pretty short space of time. The main thing I continue to be shocked by, is just how much hard work teachers put into the job. It really irks me when I hear 'oh but teachers, they get sooooooo many holidays! Can't be that hard really!' and I challenge anyone with this attitude to spend one week in a school, because they will soon be changing their tune! Despite being in education pretty much my whole life, I still had no idea about the extent of hard work teachers put in, the amount of extra hours and often a large proportion of their weekends too. The assessment and data handling is a whole new ball game, which I don't know too much about right now, but it's mind blowing how many hours have to be spent looking at levels for each child, working out X,Y and Z, submitting this and attending that. I feel like the role of one teacher, really contains the workload of about three average human beings and IT IS REAL TOUGH. Whilst working a regular 9-5 might be challenging, try an 8-6/7, with work to do at home too - now that is really hard. It's a cheesy thing to say, but I can't lie teaching really is such a rewarding job. Working with children and seeing them develop and go from strength to strength, teaching them how to write direct speech and seeing them remember the steps properly in their assessment, encouraging them to have a go and seeing the pride on their faces when they do well. It's all just a really great feeling and to be frank, this is the MAIN reason why most teachers stay in a job that is hugely underpaid for the amount of hours and hard work that goes into it. Building bonds and being a big part of a whole class of children's lives is what makes us get out of bed in the morning and face a long and exhausting day. I have met some incredible teachers and teaching assistants in my short 6 months and I am so inspired by them all. Their enthusiasm, knowledge, drive, determination and supportive natures really play a big part in wanting to continue too. Having a team of truly respectful caring people around helps more than I can express, it really does. After working in this environment, I am going to be very picky when it comes to finding a job, because I know that without that the job would be a whole lot harder. Probably the most important one of the lot, is that I have really seen how much I am capable of and I'm so proud of myself. Allow me a moment to blow my own trumpet here, it doesn't happen too often! But in the last 6 months I have gone from being a slightly unsure, meek, hopeful young adult, to becoming a woman who knows she can do well and more importantly knows she WILL do well. The feedback from mentors has been amazing and although the course is gruelling, with lots of observations on a regular basis, its a fantastic way of reflecting on strengths and weaknesses and continuously working at them. I think that is why I have done relatively well when it comes to meeting the teacher standards, because I have been given constructive criticism on a weekly basis and I've made changes which have had results. Don't get me wrong, I am far from perfect, but for a trainee teacher - I can't say I'm doing too badly, despite said breakdowns every now and again! One of the most heartwarming experiences for me, was having a parent come into the classroom on my last day of year one and thankme for all the hard work I had done there. She said her son was much too shy to say it himself, but he would talk about me a lot at home and how kind and lovely I was and that he would miss me when I left. I'd be lying if I said I didn't get a little bit emotional there! Seeing that I have and am making a real difference in the classroom is the most fulfilling thing and I can finally at this point say, that a large part of that is due to my hard work! Cos I have NEVER worked this hard in my whole life haha. If you don't have a diary, GET one!Life moves as fast as a flash when you're a trainee and if you don't keep track of your time and the dates it is very easy to get left behind. I have an academic diary which is separate to my journal and I use it every single day! If you didn't start organising before, you're going to have to now. I'm still working on it to be fair and I should definitely be more productive at the weekends, but I know that if I still had the amount of organisation I did in second year, I'd have quit by now. And boy oh boy are there lows to match the highs! Whilst so much of this year has been about self-development and reaching goals, a lot of it has also been filled with tears, stress, sleepless nights. I have never been so exhausted and stressed out, to the point where my skin is reacting really badly to it. My arms and legs have these horrible dry skin bumps and my scalp is the worst its ever been. As much as I try to make time for myself, its very very hard too unless it is a half term. There are never enough hours in the day and on top of the physical signs of stress, it can take a real tole on my emotional and mental wellbeing too. Some things that really really help me are praying and going back to that peaceful spiritual place, removing myself from it all for a few minutes at least. Also I've not been regular by any means, but when I have made the time to go to the gym (again mainly in the half term! ), I have really appreciated the after effects. Maintaining my water intake and upping my fruits and 'good food', to sort of balance the amount of junk food I get through helps and of course taking time out to catch up with family and friends is really key. Even if they aren't going through what you are, its so nice to be able to put those to-do lists and deadlines to the side for a few hours and just spend quality time with those you love. I think a vital part of succeeding in the course, is accepting that the work life balance WILL be off for the foreseeable future. Of course focusing on the positives and the long term goals always help and to be honest, time flies by. I still remember the first day I walked into the classroom I teach in, yet now I know the kids like the back of my hand all within 6 months. It is both exicitng and scary! and fill it with the things you learn, that you really want to carry forward in your own classroom one day! Some of mine is based simply on observations of different classrooms, but most of it has tips and little tricks teachers have shared with me, or things I have read about along the way. At the moment its in a scruffy old book, filled with my messy handwriting but I'm hoping that at some point this summer I'll be copying it out into a new book haha. Sidenote for the SC fam, these are the lashes I posted yesterday! They have a slightly thicker band and are a little heavy, because I'm still getting used to wearing lashes full stop haha. But they're stunning, I wasn't too happy when they arrived, cause they looked super spiky. But when I actually put them on they looked beautiful and SOOO much more expensive than the 56p price tag! 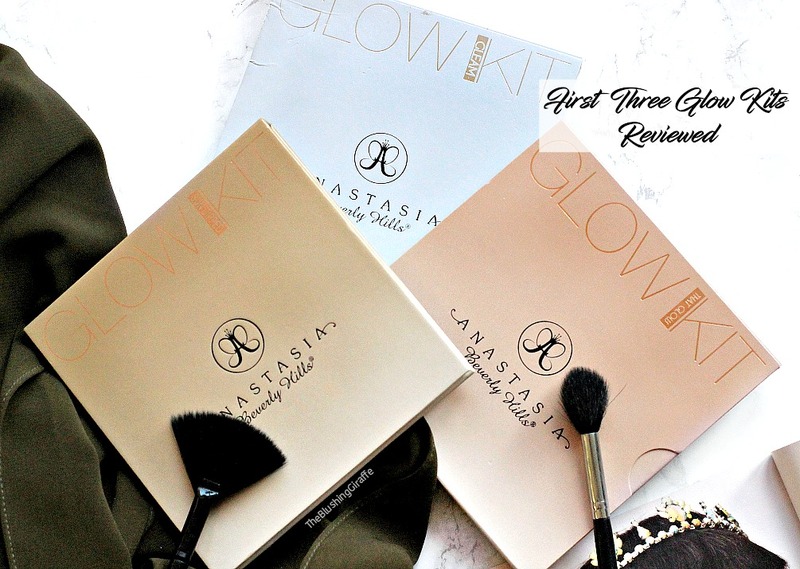 (YES YOU GET THREE PAIRS! ).